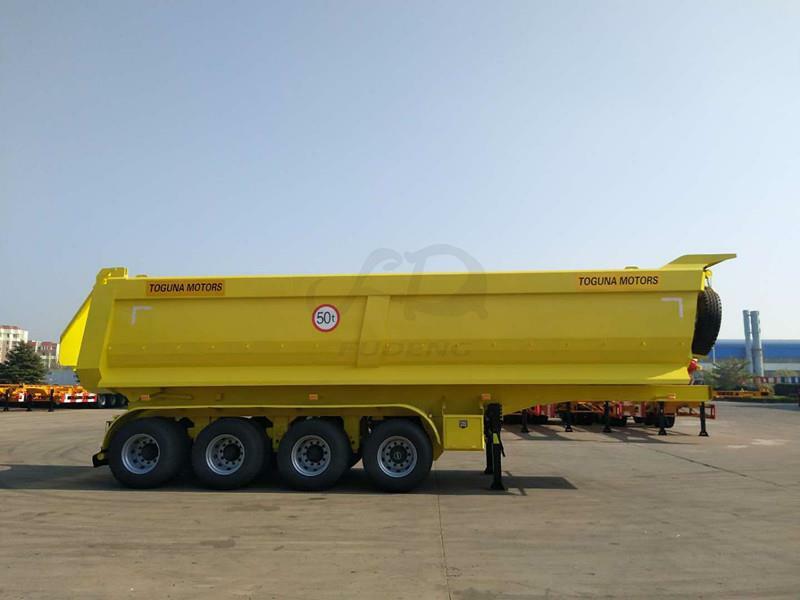 4 axles 45cbm dump semi trailer, it's popular in west-africa. We used Q345B high tensile carbon steel material designed heavy duty and extra durability "H" main beam, welded by automatic submerged-arc process. Our engineer designed thickened plate 8mm and side 6mm to transport big stone, no problem. 4 axles FD brand can adapt to bad road condition in africa, lifting front axle with air suspension. Welding design or Special design Two beams. For more information, welcome to inquiry!